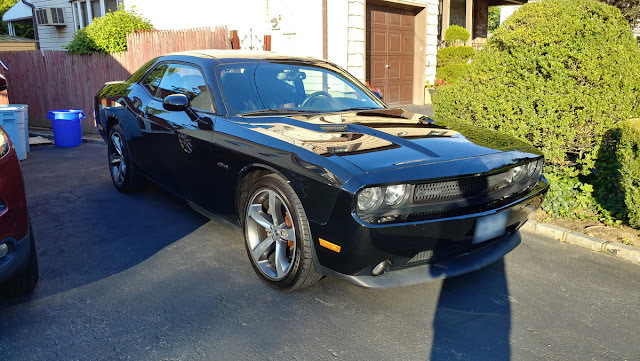 Now this is a car: "new" Dodge Challenger Day! 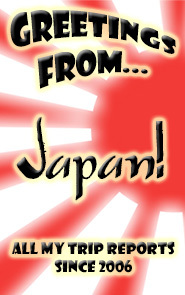 I know it's been a while since a proper blog post here (one that doesn't just link to my YouTube channel). The truth is that I feel like the world has moved on from blogs for the most part, and I have too. But a new car is always a momentous event. And the Challenger is a car I've wanted since it was first announced. This is a 2014 Dodge Challenger SXT Plus 100th Anniversary Edition, Dodge certified pre-owned. This is meant to be our city commuting car and we don't even have a garage, so I didn't really want a new one or one of the higher-spec models - I wanted something cheap that I could beat up and not care about too much, while still satisfying my deepest, darkest desires. But I love it too much to beat it up. I can't help it. After literally decades of owning tiny little cars meant to be at least as practical as they were fun, I've finally gone back to the kind of car I grew up with. Is this a mid-life crisis? Well, this might just be the mid-life crisis talking, but I've decided there is no such thing as a mid-life crisis. There is only who we really are and who we try to force ourselves to be. And who I really am is someone that loves big American cars with engines that go "VROOM! ", not economical little Euro-hatchbacks. This is what I always thought of as "a car" when I was growing up. This is still what "a car" means to me now. 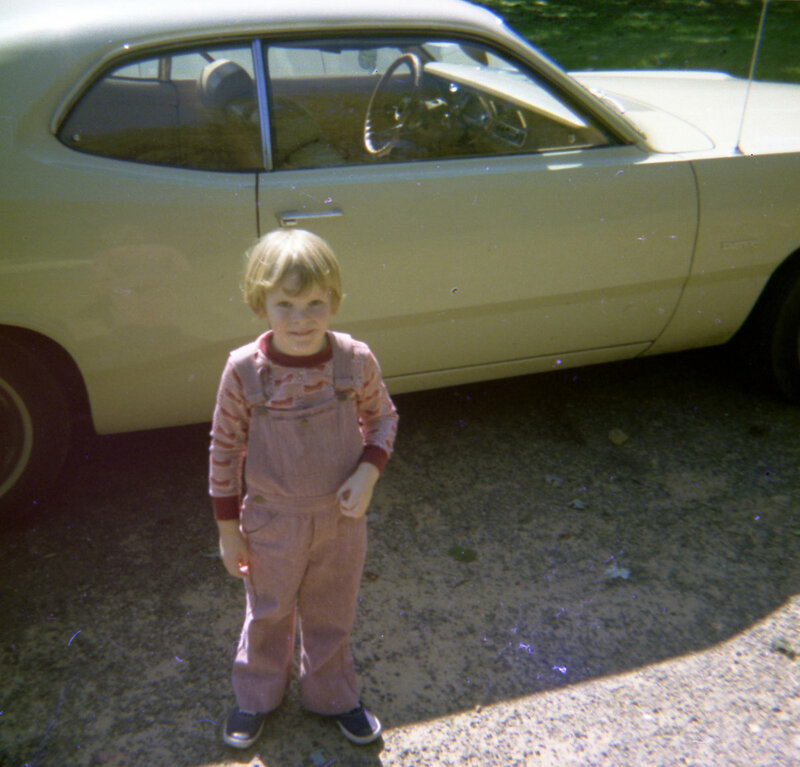 In the 1970's, my family had a Plymouth Duster (here's me standing in front of it). One of my brother's friends had a Chevy Nova or maybe even a Dodge Challenger or something with racing stripes in the middle of the hood. 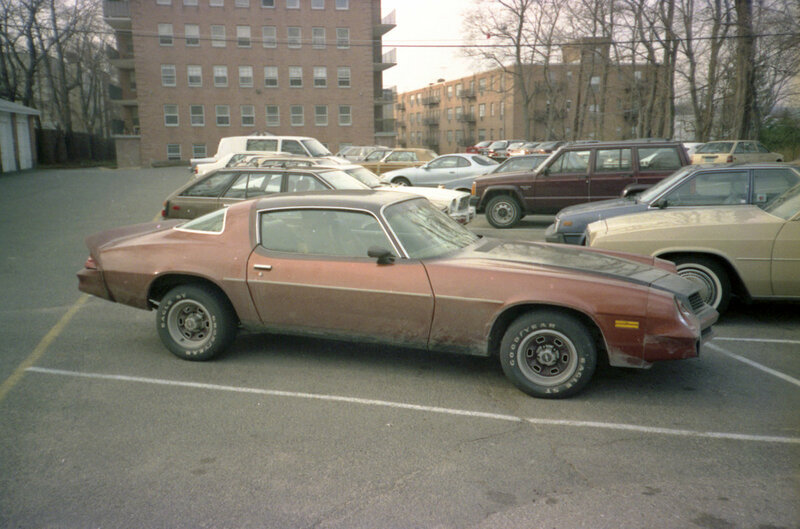 My own first car was a Firebird (though a neutered one); my second and fourth cars were both 1980 Camaros. (That generation Camaro may not look it, but they were actually longer than a Cadillac Fleetwood Brougham. They were really big on the outside.) By the way, the linked pic of my first Camaro was specifically to show how dirty it got on a trip across the country, lest you think that sorry state was normal - I babied that car! I just have no other pictures. That second Camaro had been converted for drag racing; it had a double barrel carburetor and a bored out 305 small block V8, and all extraneous weight had been removed (including such things as the arm rests, rear seats, radio and speakers, catalytic converters, mufflers, and the horn). It was loud and fast - 0-60 in under 5 seconds. It didn't really need a horn, because you could hear it coming from a mile away. This Challenger has a V6 and it's more powerful than that Camaro. (Though because of the car's weight, it's not quite as fast.) Engine technology has come a long way. This is the first car I've owned with more than 300 horsepower, and unlike my Jeep (which has 270, if you can believe it), it's got a transmission to match. After my falling out with the Mini, which was just a chore to drive in NY area traffic, I went back to an automatic. But this one's got paddle shifters if I want to use them, and it's so responsive that I don't really miss the manual even on the open road. I rarely get to be on the open road around here anyway - around here, you're always stuck to someone else's rear bumper. But man, it's nice to be able to zoom around somebody who's doing 40mph in the left lane of the Long Island Expressway when I finally get the chance, and do it like they're standing still. The Challenger competes with the Mustang and current Camaro but I don't like either of them anymore because they're not what they're supposed to be. If you call a car a Mustang or Camaro, then you'd better acknowledge the history and heritage behind that nameplate. The Mustang did that in the previous generation, but both of these cars are wannabe Euro-coupes at this point, and I'm not a fan. It would be like if Porsche came out with a minivan and called it a 911. It's also really comfortable, with the best interior I've ever owned on a car. And it's not all black! I no longer have to feel like I'm driving around in my own little hearse. 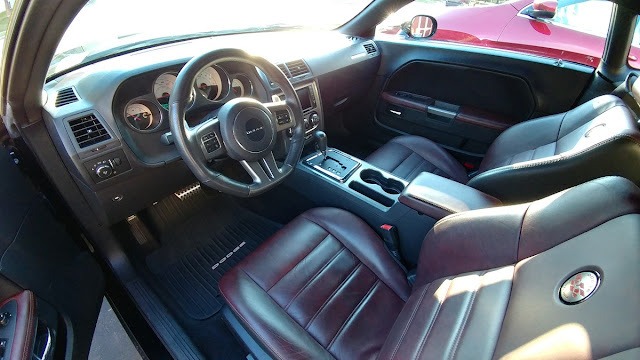 I've really come to hate black interiors, and almost all cars have them now. When buying a used car, it's like winning the lottery to find a good car with something other than a black interior. And this one's just a beautiful burgundy (Dodge calls it "molten red", but it's a lot more subdued than that sounds). 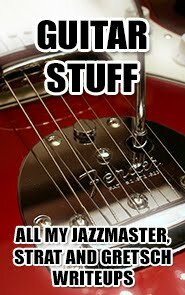 It's also got a surprising amount of utility. The trunk space is massive - I've already carried whole shipments of clothing to my store in this car, which is something I'd worried about and one reason I'd been buying hatchbacks. You can even fold down the rear seats for more stowage space. The rear seats themselves are actually usable for passengers - my wife rode back there to test it out and said it was totally fine. (I've been back there too but I can't really fit in the back seat of any car that I could actually afford short of a used VW Vanagon, so I'm the wrong person to judge it.) The Mustang and Camaro have back seats really only suited to grocery bags or your pet ferret. 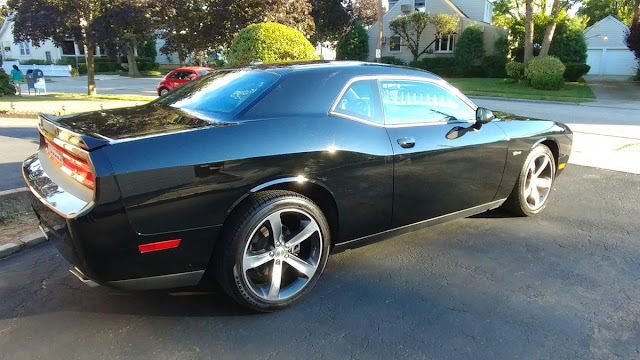 We lucked out with the 100th Anniversary package, which adds a whole bunch of both cosmetic and mechanical stuff, and we got that basically for free given other Challengers in our price range, all of which were stripped base model SXT's. I've come to realize that wheels really make or break the look of a car, and the 20" wheels that come with that package really set this one off. Black Challengers with the stock 18" wheels really tend to look like Alamo rentals; the 100th Anniversary 20" wheels (which are totally unique to that package) make it obvious from a mile away that this is a special car. Something about the rear end of a Challenger only looks right with big wheels. It's even got the script "Challenger" logo on the grille! 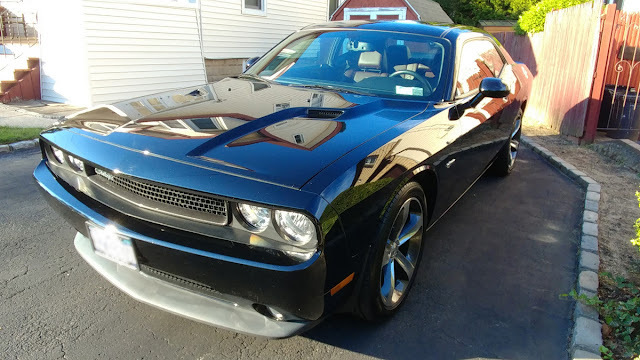 For a while I really wanted a Challenger R/T Classic just for the script logo, but even they don't have it on the grille. The dealer just gave me a brake job for free, so that's hopefully sorted now, though they still seem to squeak a bit. And it's been an NYC car its entire life, so it does have a few scratches to the paint. It's a hard life for any car, living around here. At least I don't need to worry about the day I get the first scratch, which is always a horrifying day in car ownership. But otherwise, it's perfect. Even better condition than the Mini we just turned in, which was even newer. I used to be a car guy, and that faded a bit with my last couple cars. I figured I'd just grown out of it. But now, I think I just had the wrong cars.